Carmarthenshire Leads the Way in Schools Touch | Sir Gar yn Arwain y Ffordd Gyda'r Rhaglen Ysgolion. Bydd twrnamaint dynion a thwrnamaint menywod ar ddydd Sadwrn 24ain o Awst gyda thwrnamaint cymysg ar ddydd Sul 25ain. Os hoffech gofrestru tim, llenwch y daflen isod neu i gael rhagor o fanylion, cliciwch fan hyn. Does dim llawer o lefydd ar ol! Dyma’r un o uchelbwyntiau tymor Cyffwrdd. Lot o sbort a sbri mewn lleoliad arbennig! There will be the Men’s and Women’s divisions on Saturday 24th August with the Mixed tournament on Sunday 25th. If you would like to register a team, complete the form below or for more information, click here. Hurry! There’s not many spaces left! Plenty of fun to be had in an absolutely fantastic location. On Friday 26th July 2013, a West Wales regional select team will take on an East Wales squad in the first ever Junior Challenge Series (JCS) for players aged 15 years and below. The teams will face off for two games featuring the brightest young talent south Wales has to offer. Click here for the full team line ups. The game will be played in the mixed category meaning that boys and girls will play on the same teams. Players will be in years 9 or 10 in school and for most of them it will be the first time they have played Touch in a game exclusively for their own age group. Let’s take a look at the two teams. 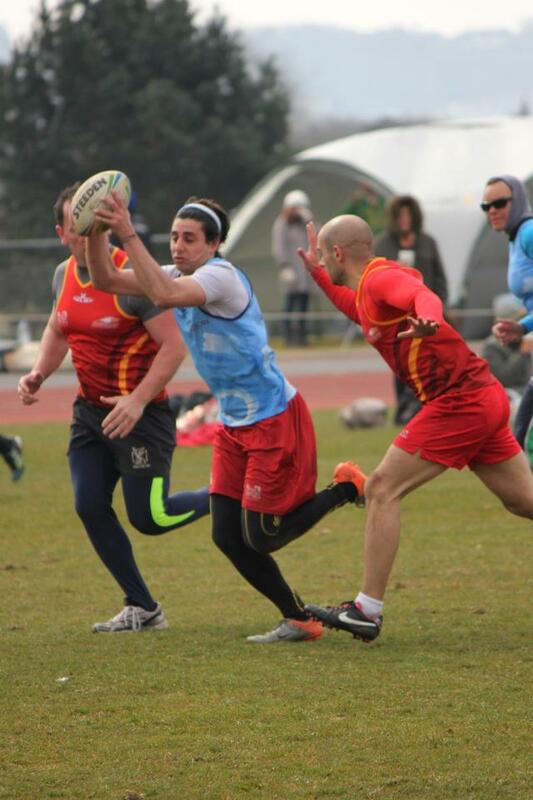 The East Wales squad is mainly made up of players currently playing for teams in the Touch Rugby Wales league in Cardiff and are coached by Cyclones coach, Owen Smith and Cyclones Mixed Open player, Khal Salim. 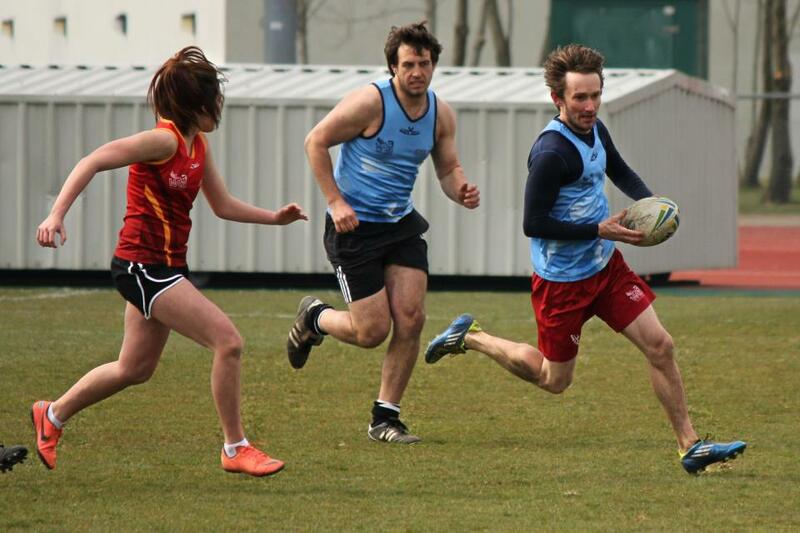 The coaching staff have excellent pedigree with the Cyclones having recently swept the board in all divisions at the inaugural Wales Touch Nationals in April. The Cyclones | Seiclonau (South Cardiff & the Vale) won the Men’s Open, Women’s Open and Mixed Open divisions featuring a multitude of internationally-experienced players. However, they also had one eye on the future by blooding youngster, Lucy Pattison in the tournament. The experience of playing in Wales’ premier tournament will no doubt stand Lucy in good stead whilst playing for East Wales in the JCS. Most of the East team play together for Ysgol Plasmawr in the TRW league under the guidance of seasoned international Touch player, Sion Wyn Davies, Plasmawr’s Head of PE and also a current Wales 40 player. Expect the team to be well-drilled and possibly a little more knowledgeable of Touch tactics than their west Walian counterparts. However, Lucy will not be the only player on the pitch that has regional experience. Another talented young female, Rachel Wasserman, will be looking to capitalise on her Nationals experience in the JCS this Friday. 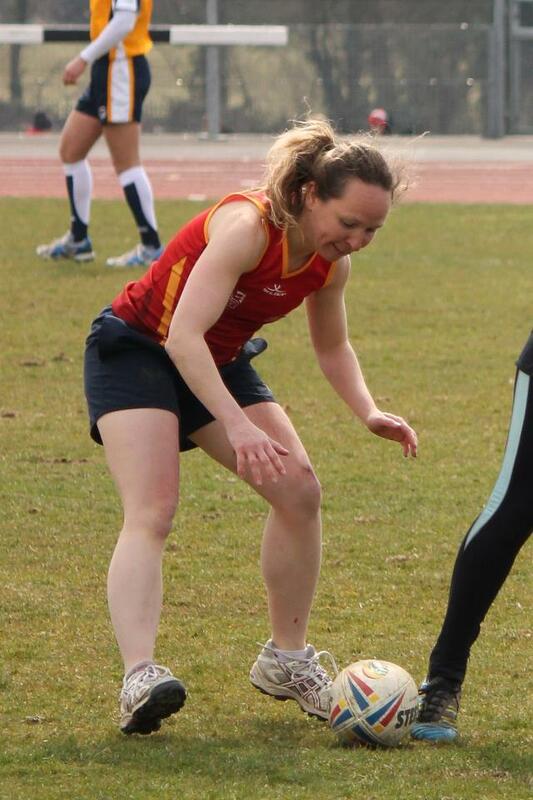 Rachel was a late addition to the Red Kites | Barcutiaid Coch (West Wales) squad having only attended one training session prior to the tournament. 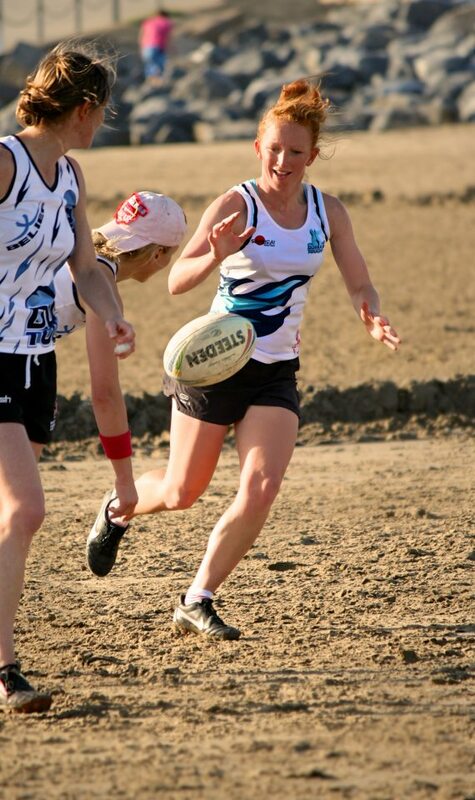 Despite only being 14 years old she greatly impressed and has already been invited to play for Cardiff Raptors in the club-based, Wales Touch Series following her performances at the Nationals. Many of the West Wales team were identified at a recent Carmarthenshire 5×60 Touch tournament at Pembrey Country Park where nine teams competed to find an under 15s county champion. The day was a great success and it was Ammanford’s Ysgol Dyffryn Aman team that eventually won. Three of the victorious team, Jac Isaac, Steffan Pryce-Griffiths and Cathryn Jones have made the West Wales team and will be keen to continue their success. 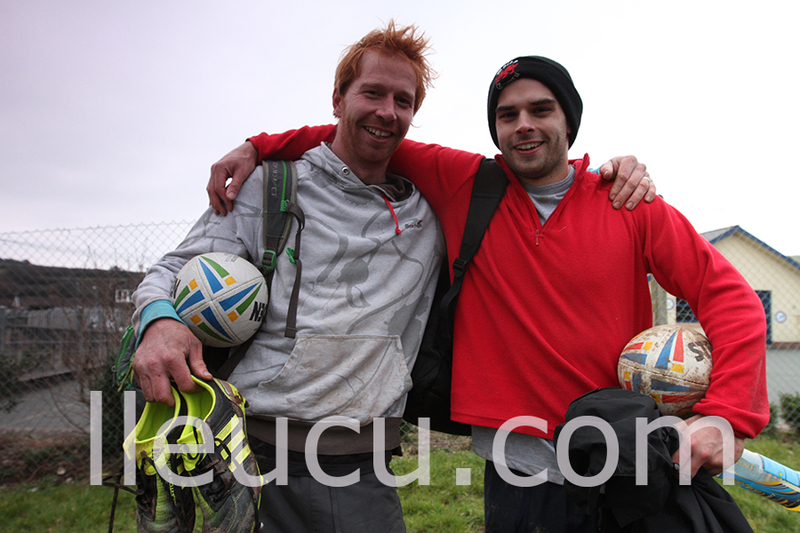 Also playing for the West are two players that have impressed in the newly-formed Newcastle Emlyn module. Ysgol Bro Pedr (Lampeter) pupils, Iwan Evans and Caryl Jacob came along to the Emlyn Try-Touch Night in May and decided to form their own team with their friends. The fact that they are only 14 years old didn’t put them off and they have been competing against other teams with much older players. Despite finding it tough going in the early part of the season, the team has been steadily improving each week. In fact, Iwan has already picked up a hatful of MVPs so far this season and he is definitely one to watch at JCS. So why is this series so important? In much of Europe, it is fair to say that many people’s first experience of playing Touch does not come until later in life, with many only taking up the game once their rugby playing days are over. Even those that start relatively early are usually well into their teens or twenties before they take up Touch. Whilst it’s great for people to continue to be active as they get older, if the gap is ever to close between Wales and top class Touch nations such as Australia and New Zealand, players need to be developed from the youngest possible age. They need to play age-grade Touch before working their way up to national senior teams. The current model of trying to develop players that have come to Touch from other sports will only take Wales so far in the world of Touch. Take a look at this video of some Under 10s Touch from Australia – these kids have grown up playing Touch and it shows – they have running, evasion and handling skills in abundance as well as tactical knowledge of what moves to use and when. Let’s hope that we’ll see Touch of this quality in Wales one day – the JCS could be an important piece in this jigsaw. The Junior Challenge Series takes place on Friday 26 July 2013 at Swansea University Sports Centre. Game 1 taps off at 12 noon with game 2 starting at 1.15pm. Admission is free although parking charges do apply. What about you? What do you think about this focus on juniors? When did you start to play Touch? What started out in Llanelli in 2010 has now spread to further west to two more towns. This summer, Carmarthen and Newcastle Emlyn will be joining in with the fun. 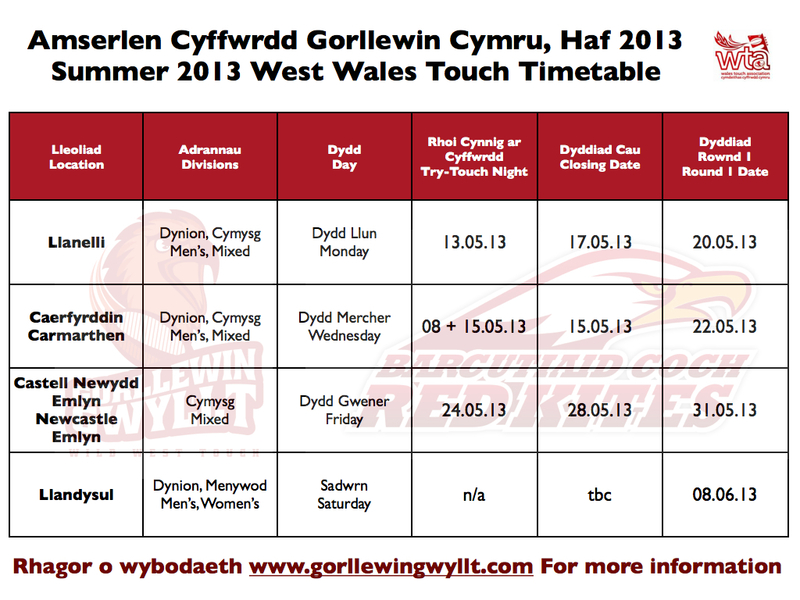 With a round of the Wales Touch Series to be held in Llandysul too, this is going to be an exciting summer of Touch in the Wild West. 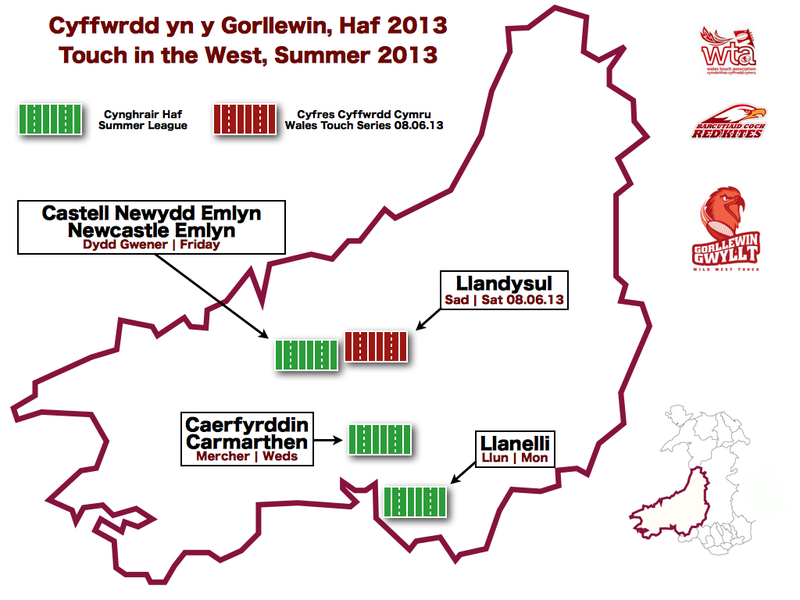 In summer 2010, the first ever touch league came to west Wales. It was formed by Carmarthenshire County Council’s Sports Development Unit and was held on the school fields at Ysgol Gyfun Y Strade with the intention of getting more adults back into some sort of physical exercise. 9 men’s open teams and 4 mixed open teams contested the first ever league in which The Orangutans were the inaugural men’s champions and the Sports Development Unit’s team, All The Gear came out on top in the mixed division. Fast forward to 2013 and things have developed rapidly in west Wales. Not only has the general standard of the Llanelli league improved, the region has already produced two players that have played for Wales representational teams in both a World Cup and European Championships. With the formation of the Wales Nationals, there is now a regional team in the form of the Barcutiaid Coch | Red Kites (pictured in action at this year’s Nationals, right). In 2012, the WRU formed an agreement with Wales Touch Association and appointed 14 Participation Officers (PO) across Wales. Part of their remit was to offer the general public the chance to play Touch. With training and support from the WTA, the POs have began to establish leagues all across Wales. In 2012, Sports Development passed on the administration of the Llanelli league to Carmarthenshire’s PO, Daryl ‘Chaz’ Richards. In 2013, Chaz will not only continue with the Llanelli league – now running on the field Coleg Sir Gar fields, adjacent to Ysgol Y Strade, but he has also added a brand new module in Carmarthen, which will take place on Trinity College | Coleg Y Drindod playing fields. There has been a lot of interest in Carmarthen and hopefully there will be a good number of teams entering. Try Touch nights are in Carmarthen on May 8th and 15th with Try Touch in Llanelli taking place on Monday 13th May. Both leagues commence the week beginning the 20th May. With the help of a Sport Wales Community Chest grant we have been able to put together everything needed to make this mixed league a reality. At the moment, the Federation of International Touch (FIT) version of touch is almost completely unknown in the town, but I’m hoping that the enthusiasm of our regional players can help persuade some of their friends and school colleagues to give the game a go when we run our Try Touch night on Friday 24 May at Newcastle Emlyn RFC. We’re welcoming anyone over the age of 14 that would like to come along. Finally, the region will also host what will now be the first round of the inaugural Wales Touch Series in Llandysul on Saturday 8 May. This tournament forms part of a series of club tournaments being hosted around the country. Categories available in the Llandysul round will be for men’s open and women’s open club teams. Contact the WTA for more information on the WTS through their website www.walestouch.co.uk. Below is a timetable which displays all the information needed by prospective teams. All enquiries for the Llanelli and Carmarthen leagues should go to Daryl Richards (WRU) – drichards@wru.co.uk. For further information about the Newcastle Emlyn league, contact Matt Adams – matt@gorllewingwyllt.com. There is also a sign up form available here at the Gorllewin Gwyllt website.